NB. This walk replaces the "Hunua Ranges - Northern Tracks" trip previously advertised (too many closed tracks). 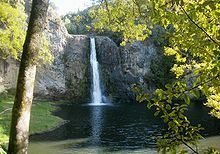 Come out for a great day's walk by the Wairoa River plus a circuit to Cossey's Dam and the Hunua Waterfall. This trip is suitable for all levels of fitness and is relatively straightforward. We will have the usual three parties - slow, medium and medium+. Everyone is welcome.